Starting an online personal training business can be overwhelming! There’s so much to do and learn, and figuring out sales strategies to try and drum up business could be another daunting task. It can all feel endless! But what if you already have the secret to your success and you simply need to realize it and take advantage of it? There’s no need to emulate other successful trainers. You don’t need to be uncomfortable trying to be someone you're not, when you are your own secret sauce! I know that might not sound like a hidden sales secret, but it really is. You see, people are going to buy into who YOU are and they will be inspired by where YOU can lead them. This is true in face-to-face coaching, but is even more true when you go online. There are endless competitors out there selling "solutions" to people's fitness problems. What sets you apart is, well, YOU. Just be yourself. Yeah, you've heard heard this before, but how do you pull it off in a way that brings in more online clients? You are not Charlene Johnson or Arnold Schwarzenegger - that's okay. What do you have that your ideal clients will be attracted to? Maybe you're no fitness model, but you did lose 100 pounds while struggling being a single mom and working full time? That's a story other women in your shoes will latch onto. Or perhaps you were a scrawny weakling who lacked confidence before taking control of your fitness. Now you're fit, healthy, confident, successful, and ready to inspire others to do the same. How often are you sharing your personal story? Just because it's on your website doesn't mean anyone knows it or remembers it. How are you reminding others that you were once just like them? 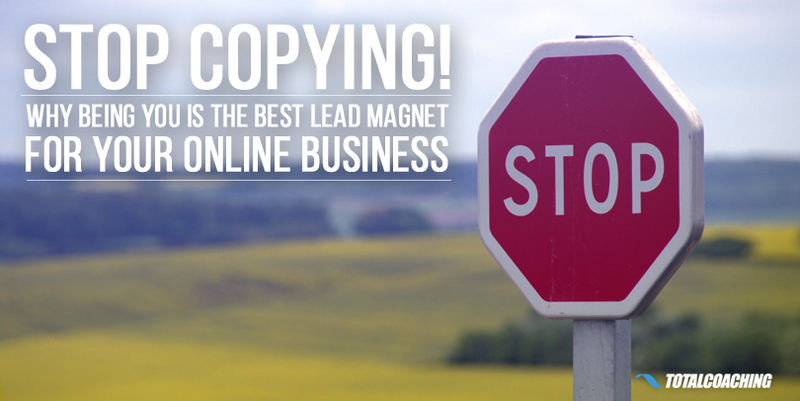 Build your brand around who you really are, and you become a personalized lead magnet. Tell snippets of your story on your website, repeat them in interviews, draw inspiration from them in your blog posts, and share your own before and after photos regularly. It can be daunting to put yourself out there and step out of your comfort zone. But, in my personal experience, the more I did "me," the more others came up to me and inquired about training or coaching. Lastly, don't worry if your story isn't "finished" yet. Maybe you've still got 20 pounds to lose - great! Tell the world where you started and where you're headed. You never know who you will inspire to start doing it with you. As a coach, you are confident in your abilities and what you can accomplish when you're working with the right clients. You know the ones I'm talking about - the ones you REALLY connect with and the ones who see the biggest life transformations. Don't be afraid to be a bit exclusive. If you love working with a specific type of client, use this to your advantage. Speak directly to this person in your social media posts. Create content for this ideal client. Write emails that are relevant to that type of person. Yes, your message can end up polarizing to some prospects, but this is NOT a BAD thing. You want a relationship, not a bunch of first dates. The more intimate you become with your ideal clients, the more loyalty you'll build and the more ideal clients you'll attract. For example, if I tried to train someone who's preparing for a body building competition, I would not only totally disappoint them but become defeated myself. I'm not that kind of coach, so why would I pretend? In short, it's quite likely that your ideal clients will have deep commonalities with YOU. That's why your personal brand will allow you to attract them so well IF you zero in and become a bit exclusive. Forget what others are doing to attract their clients. Sure, you can borrow some ideas here and there, but trying to project a message that's not your own is not going to grow your business. Do I need to lower my prices like he's doing? Should I be offering more intense workouts like her? Do I need to have a Facebook group like that coach? Are my coaching techniques good enough? Again, it can be helpful to learn from what others are doing, but you have to be YOU. 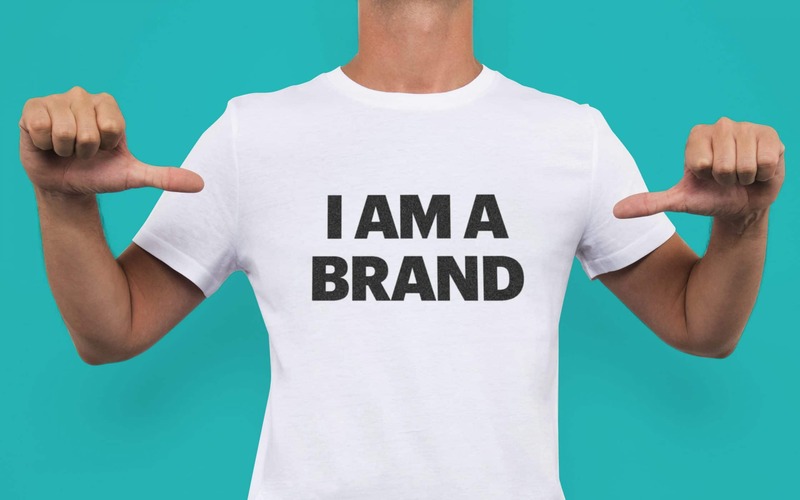 If you have built a genuine and unique personal brand, and if you are helping only those clients who connect most deeply with you, all of the other details matter very little. In fact, offering services that seem quite the opposite of what everyone else is doing could be your ticket to even more business success. Don't mimic the coaching practices of others. What do your clients really need? Whether it’s a getting a client prepared for a race, for weight loss, or even for getting up from a chair, it’s a priceless feeling to watch a client achieve their goals because of the guidance YOU provided. Don't sacrifice your identity as a coach by copying the tactics your competitors are using. Remember, your clients chose YOU to make it happen. What an honour. You have a gift and it’s to help others reach their goals. Better yet, it’s like a career that doesn’t feel like work. This all reminds my of the old Rocky movies. Mickey was in Rocky's corner, coaching him to be a champion. Was Mickey like the other coaches out there? Definitely not. But, he was exactly what Rocky needed to succeed. YOU are the Mickey to your clients. Regardless of how other online coaches are doing it, your job is deliver results to your clients in the way YOU know how. Be yourself - that's why your clients chose you. Have you mastered the art of embracing yourself as a lead magnet? Share your story in the comment box below! I'm Arlene Santiago, a Transformational Health Coach and mom of three. I help moms who struggle with time (there’s never enough) and low energy to a life of confidence and vitality. I also help those over age 50 whom want to prevent injury, improve balance and mobility. For more information on how I can help, follow me on Facebook or visit www.arlenesantiago.com.